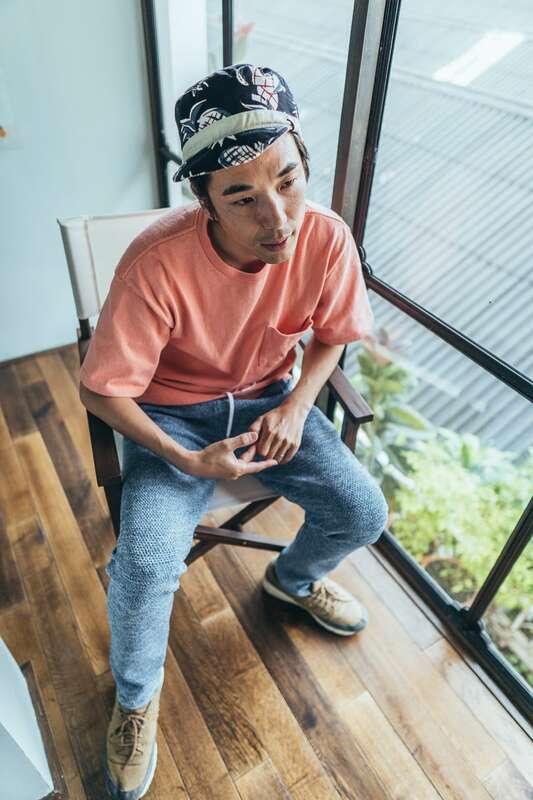 Japanese architect Joe Chikamori opened his first studio next to the surfers’ beach of Shichirigahama, an hour outside of Tokyo. So he named his architects’ practice 07BEACH “because I was starting from zero by that 7-mile long stretch of coast,” Joe Chikamori smiles. It was a big step. The architect had spent the preceding ten years in Tokyo working for different design companies on a variety of projects. 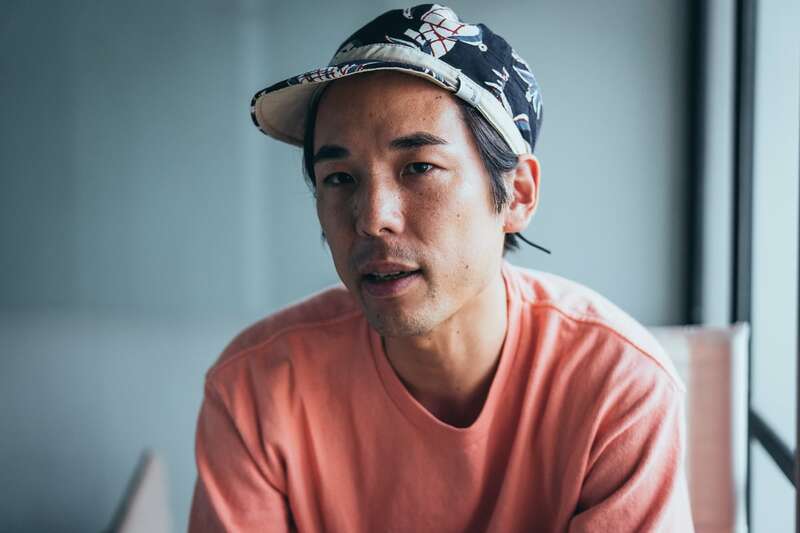 His experiences in Tokyo taught him how to realize designs and supervise construction, “But there was no chance to be creative and it wasn’t very challenging,” Joe remembers. 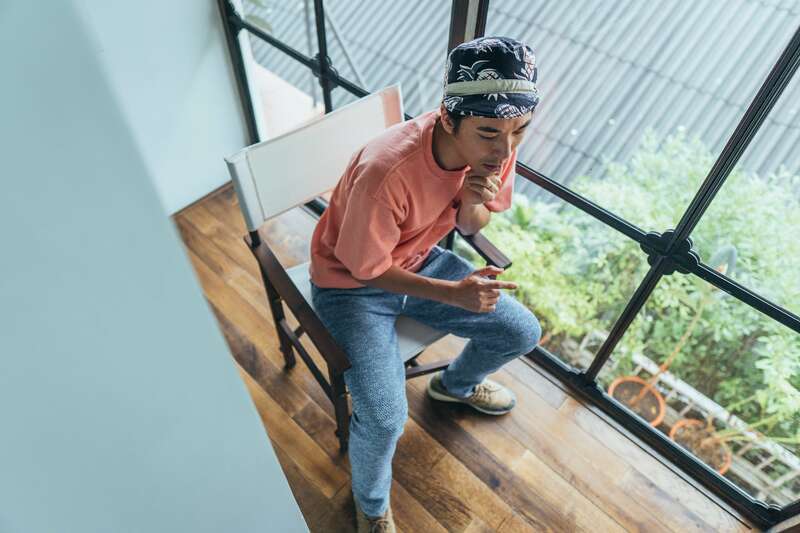 Today, he works between Japan and Vietnam, with a temporary base in Kyoto. 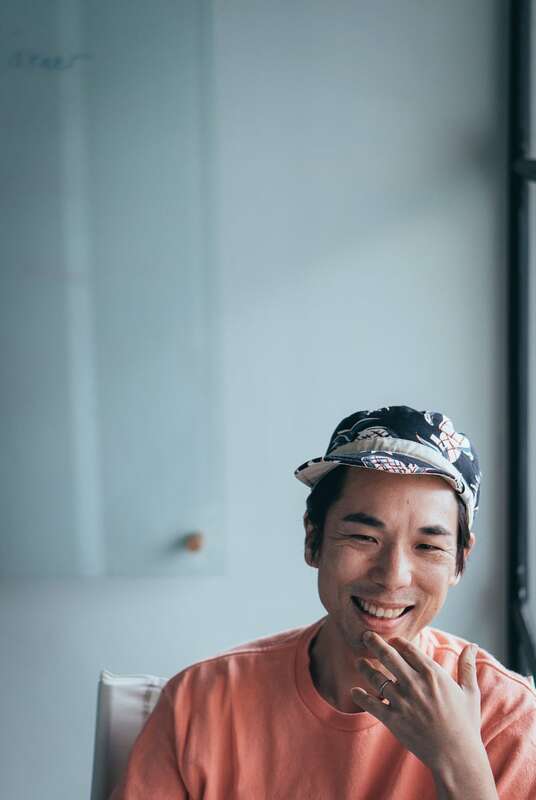 During his visits here he’s designed the original Pizza 4P’s, the award-winning Bake Cheese Tart Store on Ngo Duc Ke that has now closed, and the high-end Japanese restaurant, Sushi Rei. 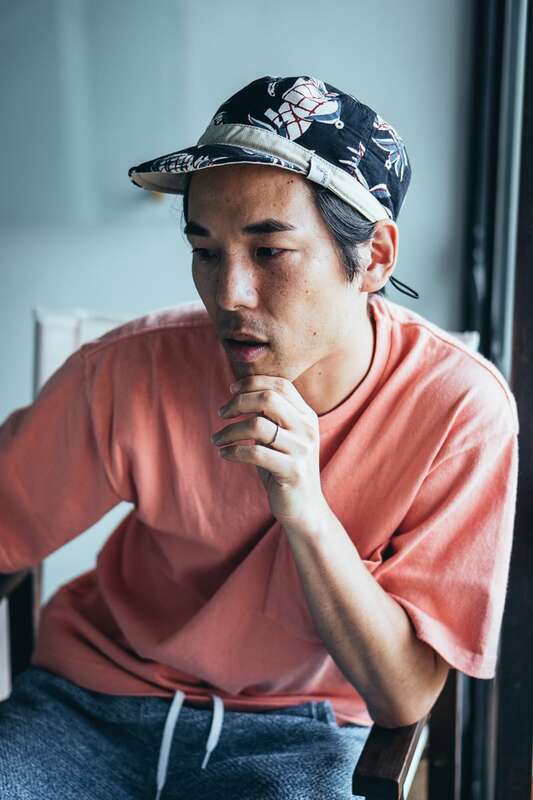 So we invited Joe Chikamori over to the office to talk about the evolution of 07Beach, the philosophy behind his award-winning Ho Chi Minh City designs and how wants his spaces to be like dance music. Joe Chikamori called his architecture company 07BEACH after starting from zero with a studio on the 7-mile Shichirigahama stretch of coast. How did you connect to Pizza 4P’s for your first project in Vietnam? The Japanese head-chef at Pizza 4P’s is my close friend. And his friend is the owner of the company, so naturally, I knew him too. He asked me to design the first restaurant on Le Thanh Ton in 2011. It wasn’t only my first trip to Vietnam, but it was also my first project as a self-employed architect. Joe Chikamori’s first project here was the original Le Thanh Ton Pizza 4P’s. Supervising construction was a challenge. I slept upstairs above the construction site. There was a disparity between the level of accuracy the workers were achieving, and the level I wanted. But I felt a great warmth from them, even though my demands might have seemed strange or difficult. Due to the success of the business, Pizza 4P’s grew, and so the following year I worked on the design of the building next door. Then the year after that they expanded again, and so I worked on that design too. And so a one-off project became a three-year project. Can you describe your design for that original Pizza 4P’s? 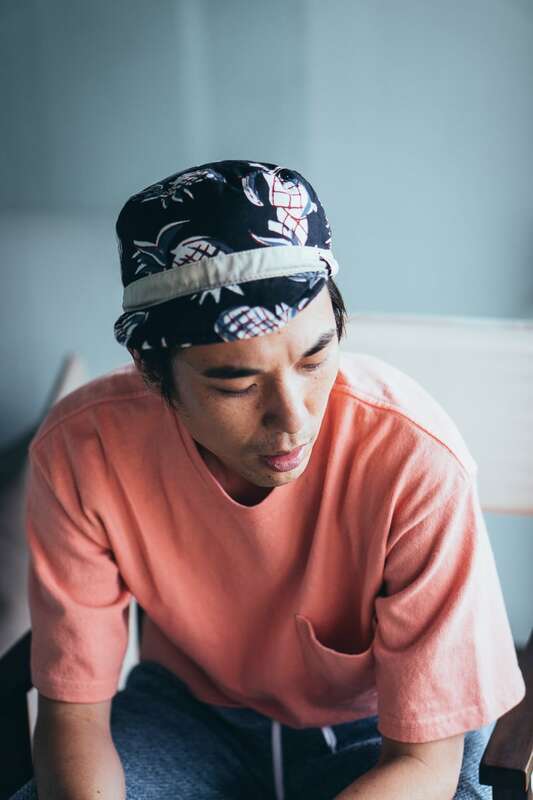 I wanted it to be unique, and so I combined Japanese, Vietnamese, and European elements—which also mirrored the restaurant’s philosophy of creating European food, in a Japanese way, but at a restaurant in Vietnam. The first Pizza 4P’s, completed in 2011, with a round table where customers could take in the pizza-making process. 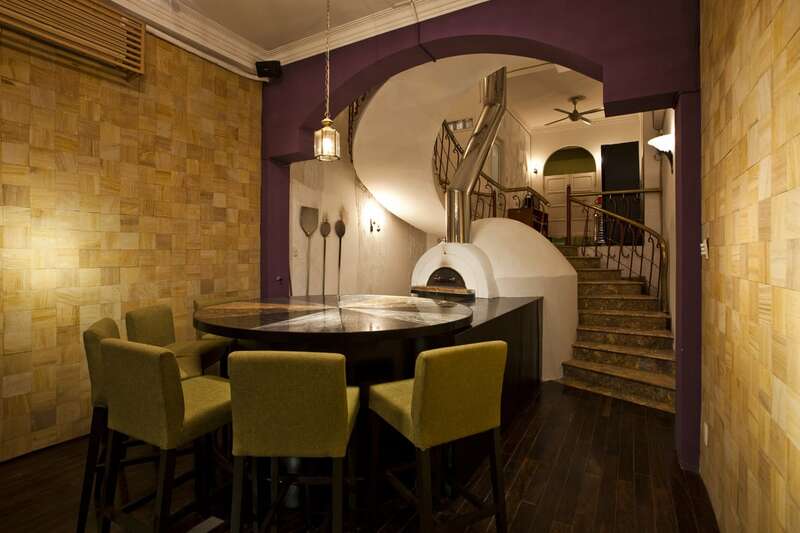 As their slogan is “delivering wow” I wanted the space to be dramatic with a big round counter where guests could watch the process of pizzas being cooked right in front of them. What else do you remember about your first visits to Vietnam? Pizza 4P’s owner used to drive me around by motorbike. I sat behind him. We visited so many stores looking for construction materials. Running around like that, I felt the pulse of the city—the sounds, the dust, and the energy. As it was my first project, I was nervous—I really wanted to meet the client’s expectations. Thankfully, the owners really liked the finished restaurant. Which led us to continue to work together. At the branches they opened later, Pizza 4P’s engaged with some other Japanese architects like Takashi Niwa and Shunri Nishizawa. How do you feel visiting their Pizza 4P’s restaurants? I haven’t visited Takashi Niwa’s Pizza 4P’s in Hanoi yet. But when I visit Shunri Nishizawa’s Ben Thanh restaurant, I look closely at the features that he’s incorporated. It helps me understand my strengths…but also my weaknesses as a designer. When I see any great design, I always ask myself if I could do the same. Of course, each designer has their own approach, so it’s more interesting for me to ask that question than aspirational. I like the way Shunri Nishizawa approached the design of Pizza 4P’s Benh Thanh, especially his method of combining the new and the old. As a customer, I like the comfortable, casual feeling the space gives me. My approach is more like an interior designer, and more dramatic. 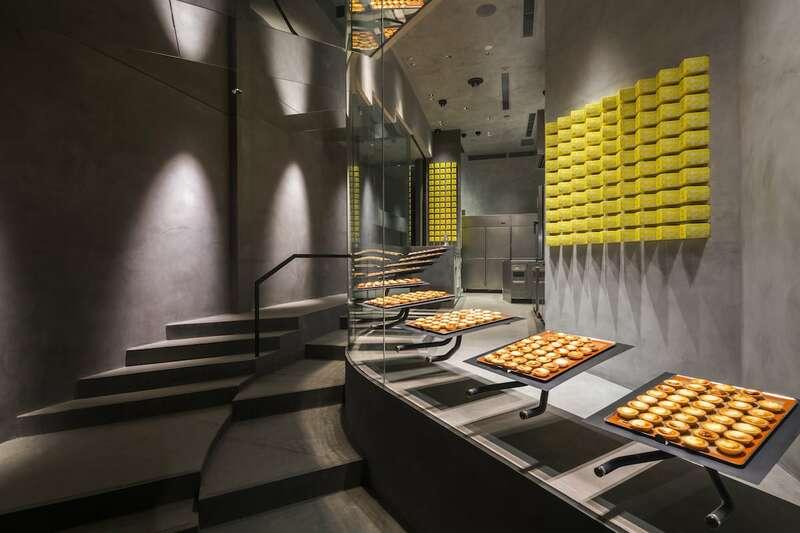 You also designed the Bake Cheese Tart store on Ngo Duc Ke Street. What was your approach like for that award-winning project? First, the owners took me to the existing Bake Cheese Tart stores in Tokyo to help me understand the brand’s design code. The curving front stairs and dramatic display at Bake Cheese Tart on Ngo Duc Ke Street. Then, for my design of the Bake Cheese Tart store here, I wanted to create something new out of common materials and fittings—so you can see the shelves of tarts appear to hover off the ground. The curving front stairs create a unique circulation of people queueing in a vertical direction for their tarts. And we used two different shades of cement to emphasize the shape of objects in the space. 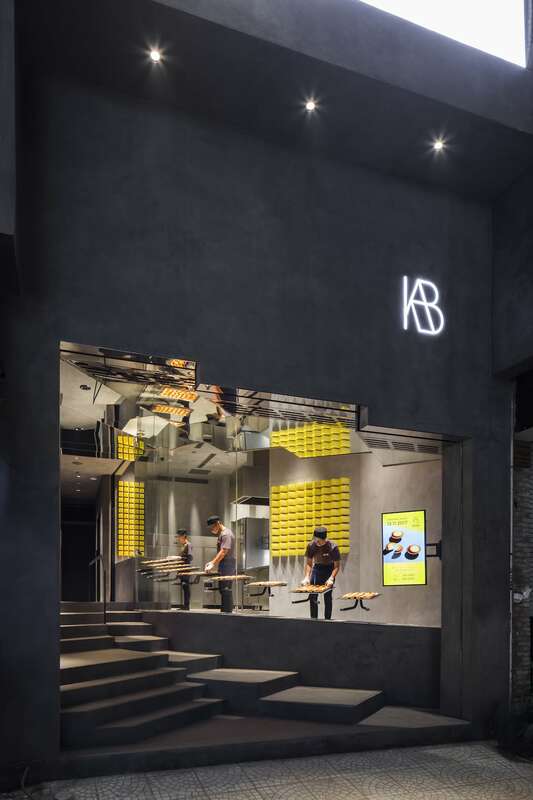 The design won two prizes at this year’s Architizer A+ Awards—the “Popular Choice Award” and the “Jury Prize.” So, I have very mixed feelings now that the store has closed. Your designs often have a dramatic quality. What influences you outside of architecture and design? High-end commercial projects are like films. They present an alternate reality that takes guests out of their daily lives. The amount of time we spend in a restaurant and the duration of a film are similar too. However, music is a greater inspiration for me. In my 20s, I was crazy about house and techno—the only time I wasn’t listening to electronic music was when I slept. At first, this kind of music didn’t appeal. It felt so repetitive. But I continued listening, and spent time in clubs like Yellow in Tokyo, and realized this kind of music is a physical experience. Architecture is similar. As with house and techno, small changes in architecture can have an effect on you, even though people often respond to the most eye-catching elements. But I don’t want to only care about first impressions. I want to create spaces that reveal themselves more gradually—as this music did for me. How does this connect to your design of Sushi Rei? 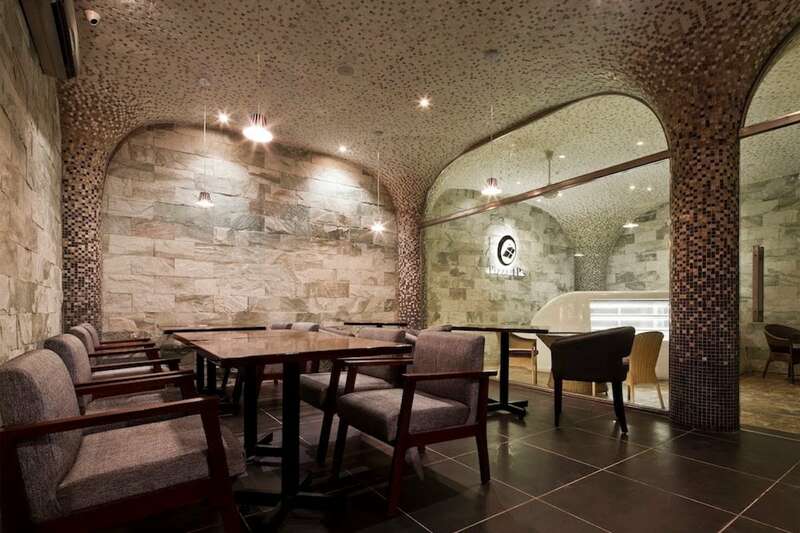 I was asked to design a traditional sushi restaurant, like the ones in Ginza, Tokyo. That idea didn’t excite me very much so I discussed changing the approach. Fortunately, the owner was generous in giving me permission to mix tradition with “newness.” The position of the chef was important. In Japanese culture, he’s not just a cook, but a master. From the beginning, creating a stage for him was a key part of the design. Sushi Rei was originally a two-story building. So, the owner planned some private guest rooms for upstairs. But I thought that a limited number of seats in a more spacious room would be better. So, I removed the upstairs to make a double-height one-story room. 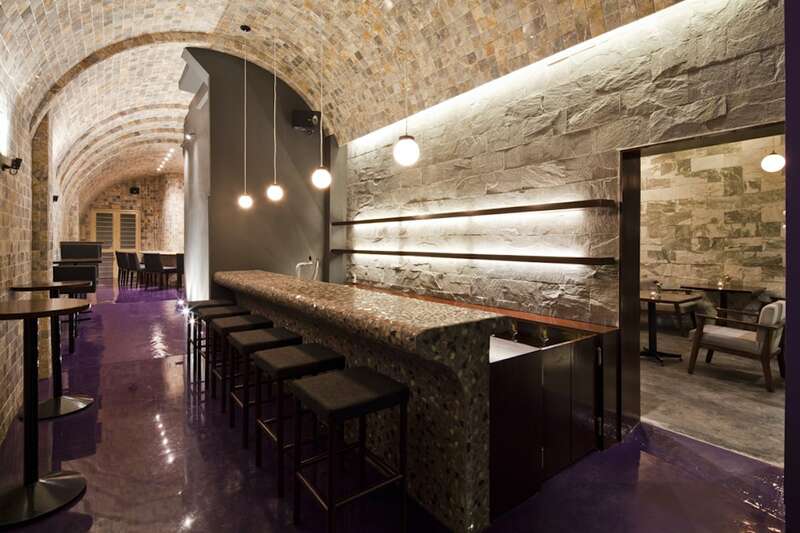 And we created an annex for a more private VIP atmosphere. 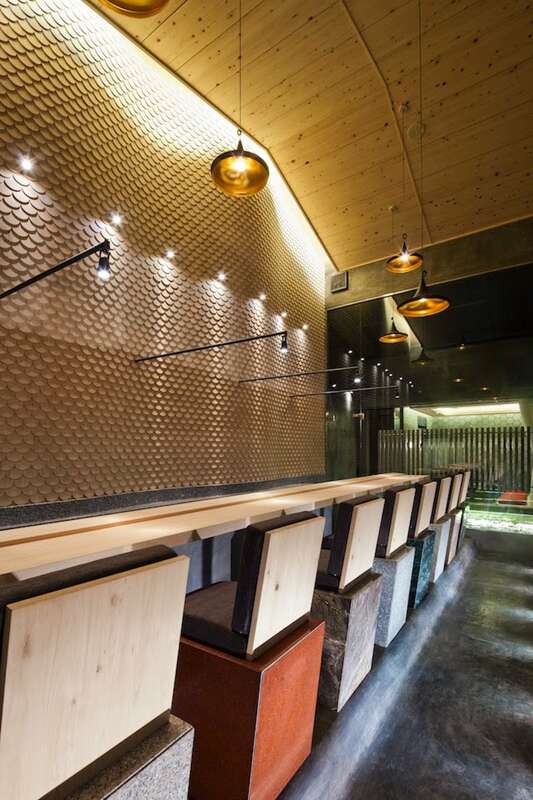 Sushi Rei’s fish-scale tiles. “I lost count of the number of experiments we did on-site to realize my design,” Joe remembers. Although the design process was enjoyable, the construction was challenging. 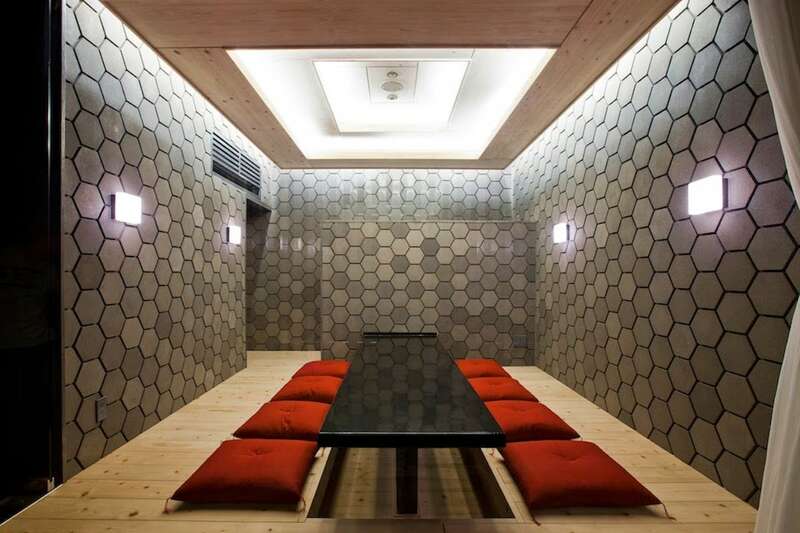 The fish-scale wooden tiles and the hexagonal cement tiles were a new material for both myself and the construction team. I lost count of the number of experiments we did on-site to realize my design. The project took half a year to design and another half a year to construct. That’s a long time for a small restaurant. But all that effort created an exceptional space with a unique atmosphere. After all these projects, what is your approach to design like today? I believe the initial idea is so important. I’m always looking out for inspiration—when I’m walking, reading…all the time. The first idea isn’t always the best one, so while I develop that idea I’ll be working on other options. Sometimes an idea can be realized through great design, sometimes I have to give up on it. I’m also driven by a few fundamental rules. I don’t want to copy, I only want to create something original. And I don’t want to follow decorative trends, I want an original creative idea at the heart of every project. Also, I don’t expect things to be easy, every project should challenge me in some way.